Luxury and comfort in our unique B&B accommodation, we offer 2 beautifully appointed shepherd huts available for singles or couples, in a very quiet location with breath-taking views. Very romantic, very warm and cosy, and dog-friendly too! 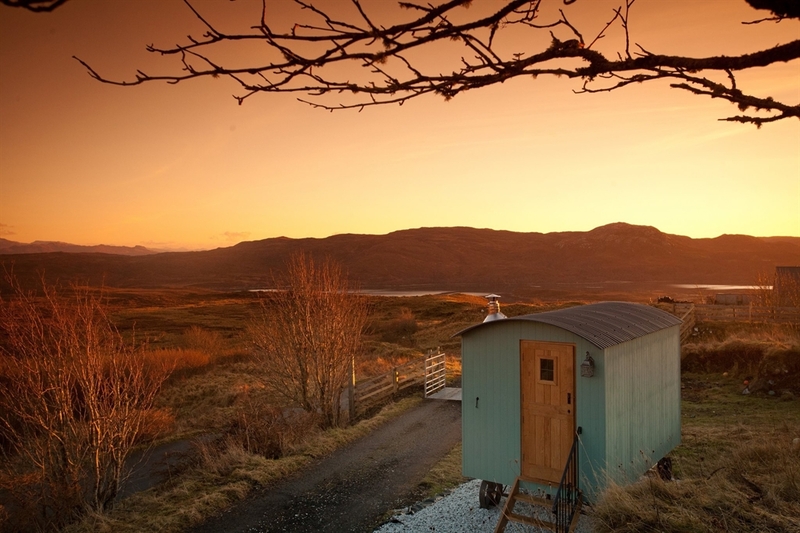 Skye is a fascinating place to holiday, so why not make it unforgettable by staying in one of our two beautifully appointed shepherd huts? 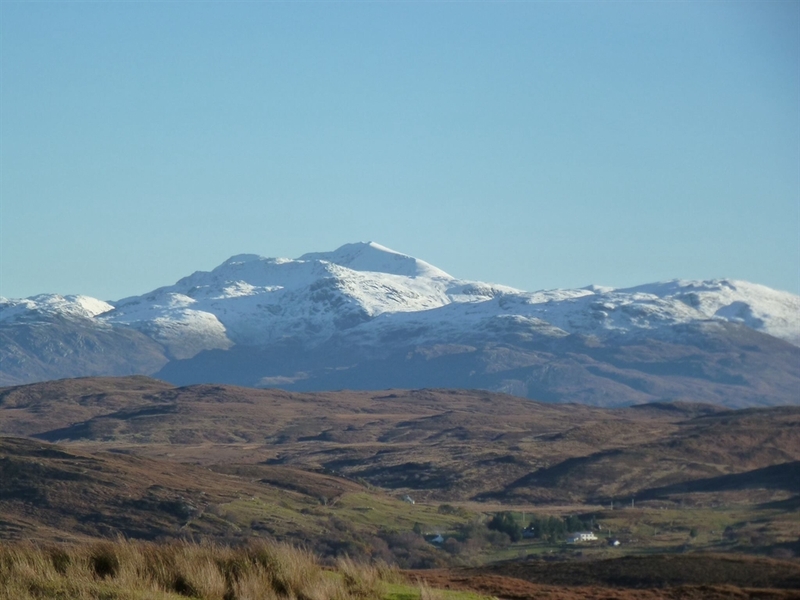 In the traditional crofting village of Heaste, Isle of Skye, our 2 huts are very special little retreats, and unique to the area. ...FOR SINGLES, COUPLES OR FRIENDS HAPPY TO SHARE DOUBLE BED. Cosy luxury. Lovely breakfasts delivered to your hut each morning. 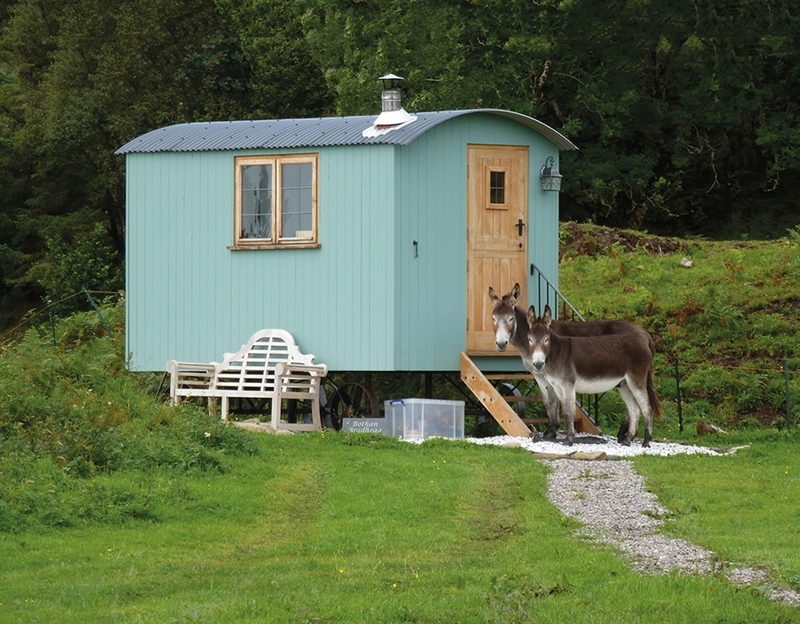 Although small, you will find that everything you could need has been incorporated in your wee cosy hut. Fine quality bed linen, towels and bathrobes are supplied. Each hut has a wood-burning stove, electricity, water, double bed, tea- and coffee-making, 3G mobile coverage and spectacular views in all directions. The high quality toilet and shower room, along with washing and drying facilities are to be found around 50 m away from your hut, in the entrance hall of our house. Just ask us - whether you find you have forgotten your toothbrush, or need to know what are the 'must see' sights. We can also recommend some beautiful and intriguing places to visit, as well as the best-known tourist attractions. We run a two-night minimum stay policy. Read our 5* reviews on Trip Advisor.